 Founder and Coordinator of Dynamic Media Institute (2000—2015), he teaches information architecture, data visualization, user experience design, and motion design in the undergraduate and graduate design programs at Massachusetts College of Art and Design in Boston. He has served as visiting lecturer at numerous universities in the USA, Australia, China, Italy, Japan, Mexico, South Korea and Poland. He has curated exhibitions and organized workshops, seminars, conferences and publications on the topic of communication, design and media. His personal work has been exhibited internationally in the USA, Europe, and Asia. 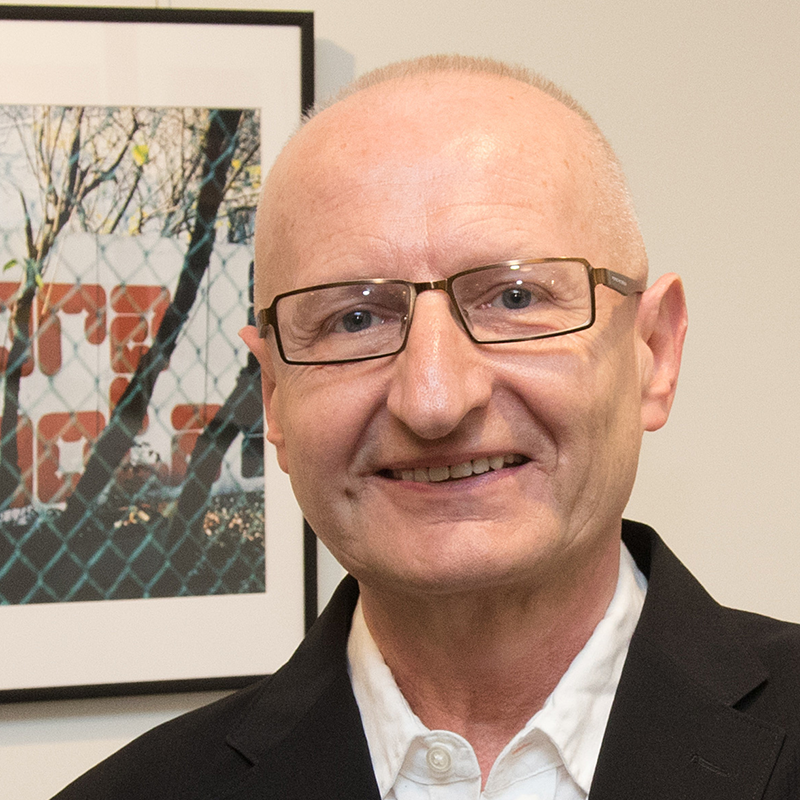 He is an affiliate of the Minda Gunzburg Center of European Studies at Harvard University where he serves as curator of the Giedrojć Gallery. Occupying Paris: 1968 and the Spaces of Protest, Harvard University, Cambridge. Poles Apart—Poland’s Culture Wars, Harvard University, Cambridge. West Meets East. Photographs from Germany by Barbara Klemm, Harvard University, Cambridge. Landscapes of History. Photography by Vivien A. Schmidt, Harvard University, Cambridge. Politics on Paper. Contemporary Polish Poster Art, Harvard University, Cambridge. Makoto Saito: The Art of the Poster, Massart, Boston. The Themersons and the Gaberbocchus Press, MJS Books & Graphics, New York. Łódź Everyday: Jan Kubasiewicz’ Project, Re:Medium Gallery, Lodz, Poland. MetaGeometry @ASP, Kobro Gallery, Lodz, Poland. Panorama “Transform”, 2b Gallery, Warsaw, Poland. Panorama, New Space Gallery, Lodz, Poland. MetaGeometry @Łódź, Patio Gallery, Lodz, Poland. MetaGeometry @Sanibel, Big Arts Gallery, Sanibel, Florida. MetaGeometry @Skydoor Gallery, Aoyama, Tokyo, Japan. MetaGeometry @Gutman Library, Harvard University, Cambridge, Massachusetts. “The Łódź-ORWO Collection by Jan Kubasiewicz.” in: 52 Typo: 52 stories on type, typography and graphic design. Étapes: Editions, 2017. “Type on Wheels Brief Comments on Motion Design Pedagogy.” (co-author Brian Lucid), in: MODE (Motion Design Education Summit) 2015, Conference Proceedings. Routledge, A Focal Press Book, 2016. “Sound—Image—Text—Motion. An Overview of Audiovisual Explorations.” in: Motyf 2014. Warsaw, Poland, 2015. “Bogusław Balicki & Stanisław Łabęcki.” in: Very Graphic. Polish Designers of the 20th Century. Warsaw, Poland, 2015. “Design Research Is Design Practice. Mapping Design Intelligence.” in: Research in Graphic Design, Conference Proceedings. Katowice, Poland, 2012. Euroacademia International Conference: Identities and Identifications. Venice, Italy. Vilnius Academy of Arts, Vilnius, Lithuania. Tsinghua University, Academy of Arts & Design, Beijing, China. Universidad Autónoma Metropolitana, Cuajimalpa, Mexico City, Mexico. Motion Design Education Summit, Dublin, Ireland. Generative Art, Politecnico di Milano, Milan, Italy. Seoul National University, Intermedia Lab, Seoul, Korea. Central Academy of Fine Arts, Beijing, China. Design Management Institute, International Summit: Empowered Innovation, Boston. Tongji University, College of Architecture Design & Urban Planning, Shanghai, China. University of Western Sydney, School of Communication, Design and Media, Australia. Osaka University of Arts, Osaka, Japan. “Współcześni kartografowie.” (“Contemporary Cartographers.”)in: 2+3d quarterly, No. 41/2011. “Mapping the Experience of Dynamic Media.”in: The Experience of Dynamic Media. Dynamic Media Institute, Jan Kubasiewicz, Ed. ; Boston, 2010. “Communication in the Language of Dynamic Media.”in: 2009 Icograda Educational Conference Proceedings.Beijing, 2010. “Motion Literacy.” in: Jon Krasner, Motion Graphic Design. Applied History and Aesthetics. Focal Press of Elsevier, 2008. “Motion Literacy.” in: The Education of a Graphic Designer. Steven Heller, Ed. ; Allworth Press, New York, 2005. “Motion Literacy and the Language of Dynamic Media.”in: The Language of Dynamic Media. Dynamic Media Institute, Jan Kubasiewicz, Ed. ; Boston; 2005. Download a CV (PDF, 114 KB).